A quick overview of the Event Room and Admin Backstage. Entering the Webinar Room is super easy! All you need to do is navigate to your list of events and simply hit Join Room. The Webinar Room is the primary hub for managing, starting, and running the Live aspects of your event. It'll be the next step, once you've set all the preferences within the event settings. It's also a great idea to jump into your Webinar Room to communicate with any Coordinators before the event goes live, and for testing out your different streams—your webcam/microphone, any Presentation Material you added, or your Screen Share. Just be sure not to Start Webinar until you're ready to actually start! Keep in mind that the Webinar Room will only be available 24 hours prior to when the event is scheduled to go live. In your Webinar Room, if you look to the bottom left of your screen, you'll find the option to open your Admin Backstage panel. 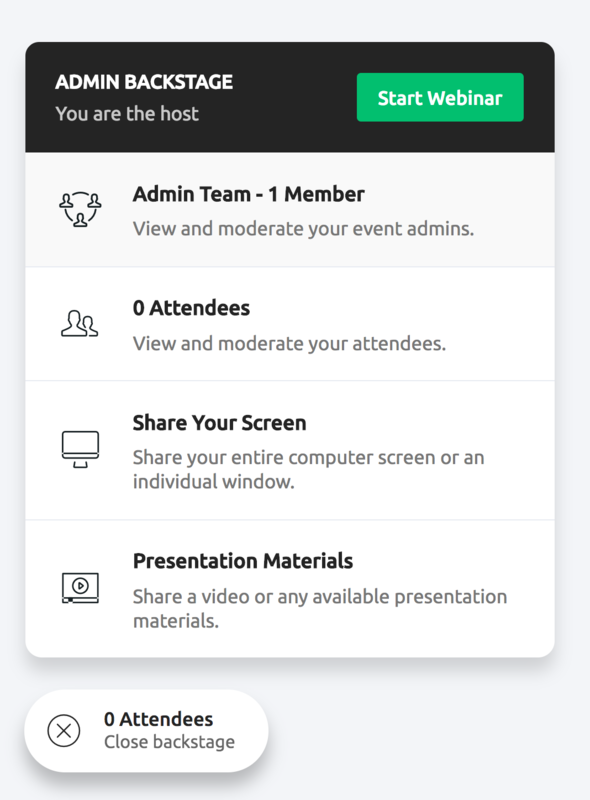 From here, you'll be able to things like manage your Coordinators or Attendees, start sharing any Materials that were added, or even share your screen directly. Of course, once you were ready, you'd also be able to start the event and go live! 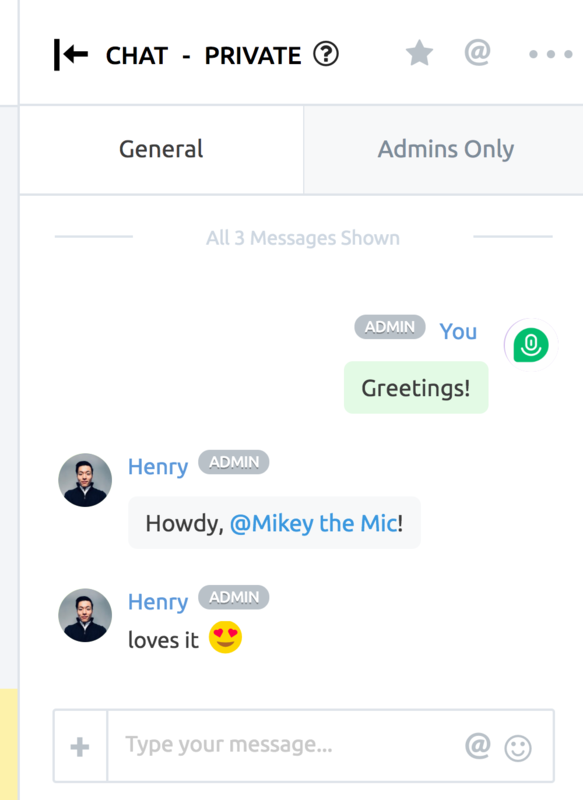 On the right, you'll also find access to the Chat Box. This is where you'll find the options to not only interact with Attendees, but also add Polls, Handouts, and Featured Actions. You can learn more about our Chat Box here.